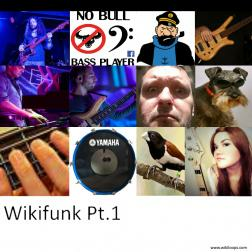 Some of the many funk tracks I've enjoyed creating or adding to. I've always loved funk and the sheer talents of the players on here never, ever ceases to amaze and impress me. The album opens with my favourite loop of all time. An infinite source of musical ideas, Unbelievable! Very professional, every tone great music! ...it a pleasure listening to this album. And a real testimony to the talent and collaboration, creativity here. I am truly blown away! He is like a Harry Porter in music world, with one avaracadabra! and he put the magic with his drums and your head under his spell! this is a funkeeeeeh album Martin! Mannnn I love this album! Thank you for your music! always a great pleasure and FUN to play with you and these guys! Thanks a lot for these rides!